How Far is Anish Calieda? The Anish Projects Developers Pvt. Ltd. Is a well-known realty development organization in the city of Bangalore India. The company has done various projects all across Bangalore and has long experience in this business field. They offer the best residential villa plots for sale in Bangalore. The company mainly does land development and is highly specialized in the development of the premium or luxury residential plotted layouts. The professional group of the company specializes in land banking, land acquisition and also does joint collaborations with the prestigious builders all across the nation of India. The company’s all the projects has a clear title as well as all the necessary approvals from all the competent authorities. Anish Calieda is one of the most recent projects developed by the company. It is a designer luxury residential villa plot with global standard amenities. The plot location is ideal for the residents since it is located at Whitefield neo Extension, Dommalur, one of the fastest growing regions in the city. Whitefield is also one of the most demanded areas in Bangalore. In the year 2004, the rate of the plots in this area was Rs 400 per square feet(Apprx.). In the year 2014 it has increased to Rs 8000 per square feet(Apprx.). Thus, the appreciation is almost 20 times in 10 years. During this time span of 10 years the Bangalore city is also grown at a fast rate and is still growing. 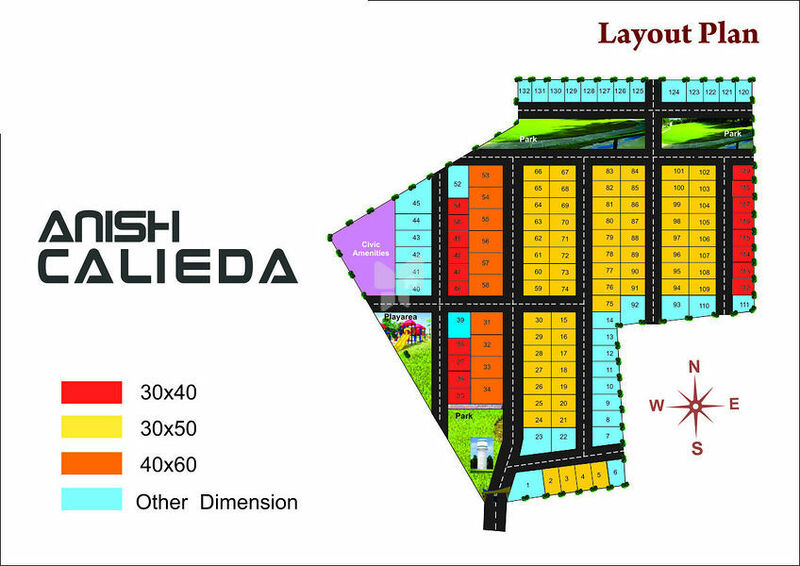 The villa plots in Whitefield are in very high demand due to the excellent location in the city. The luxury residential plot of Anish Calieda is located exactly at the right place where the future city of Whitefield New Extension is developing. The plot is also very near to the major spots and locations in the Bangalore city. It is near to the Bangalore International Airport and the ITPL road. The residential plot is near to the famous Forum value mall. The area is connected on all sides with famous roads and bypasses and connectors. Thus, it is always very easy for the future residents to go to various parts of the city on roadways in a short time. The Anish Calieda premium villa plots in Bangalore is in proximity with the major industries and industrial belts in the city. Therefore, the future residents will be highly advantageous in all respects in this plot. Thus, the Anish Calieda residential plot in Bangalore offers the best amenities and facilities for the future residents of the luxury villas. They offer the plots with the most reasonable prices as per the industry standards. Anish Projects Developers (I) Private Limited is a familiar name that has earned a reputation for its high level service and quality. When it comes to top builders in Bangalore and choosing one of the top gated-communities in India, Anish Projects Developers (I) Private Limited is the ideal choice for its all-round services combined with diligence and far sightedness. We are a group of seasoned property developers well versed with each and every aspect of real estate development. We work with a conviction and that is to assist our clients every step of the way. We are a well-known realty development company handling all kinds of real estate projects development such as premium villa plots, residential layouts. Being in realty business for years now the company is engaged in creating beautiful, eye catching, integrated luxury villas on the prime lands all across India. We have a track record of delivering projects in a timely fashion thus making us one of the top builders in Bangalore and India. Anish Projects Developers (I) Private Limited has years of experience in taking up and successfully completing various prestigious residential and commercial projects. Till date company has maintained a diversified portfolio. Since its inception the company has delivered several environment friendly projects with a strong focus on the latest safety standards at all levels of development. We have not only worked in residential and commercial segment but we have given equal emphasis on the retail sector. We, at Anish Projects, do not believe in competition but strive to be the very best in our chosen field that happens to be developing and selling of premium villas and premium villa plots in and around the garden city of Bangalore, India. We offer you luxury villas in Whitefield, East Bangalore that includes every amenity imaginable. Land development is our forte and we believe in servicing our clients without holding back in the least. Whether you are looking for premium villa plots, luxury villas in gated community projects then you need not look further than Anish Projects. One of our main objectives is providing our customers 100% satisfaction. We are a team of specialists working together to satisfy every requirement of our vast clientele. Our able and experienced engineers, interior designers as well as the administrative personnel come together as one when we are entrusted with a project. Anish Projects believes in a professional attitude where the basic ethics are not forgotten in any way either. When you entrust a project to us you can be sure about state of the art facilities. We take care of different aspects associated with property development. 'Enabling the Value with delighted customers' is our vision for the future and we, at Anish Projects promise to abide by our intrinsic values that include:- Better Quality, Competitive Prices, Efficient delivery, and Total Transparency.